CHARLOTTE AMALIE — Women Striving For Success Inc. inducted twelve new members at its Induction Ceremony on Wednesday, February 28th at the Keys in Port of Sale Mall. This year’s WSFS new members are Dr. Carolyn Clansy Miller, Marsha Pinney, Joanne Simon-Walters, Christie Scarbrough, K. Miller, Jo Anne Carr, Brenda Sells, Tanyka Brathwaite, and Jane DiCola. WSFS welcomed these women who consist of business owners, medical professionals, educators, and more into our organization. Also, inducted but not present were Teri Coaxum, Jan Sternin, Dr. Leslie Bessellieu, and Khadija Blyden. A highlight of the event was the presentation of a $25,000 grant from the Coca-Cola Foundation, represented by Scott Murphy of Coca-Cola to the organization. This grant will be used for upcoming programming that seeks to advance the growth of women in their businesses and professional careers. 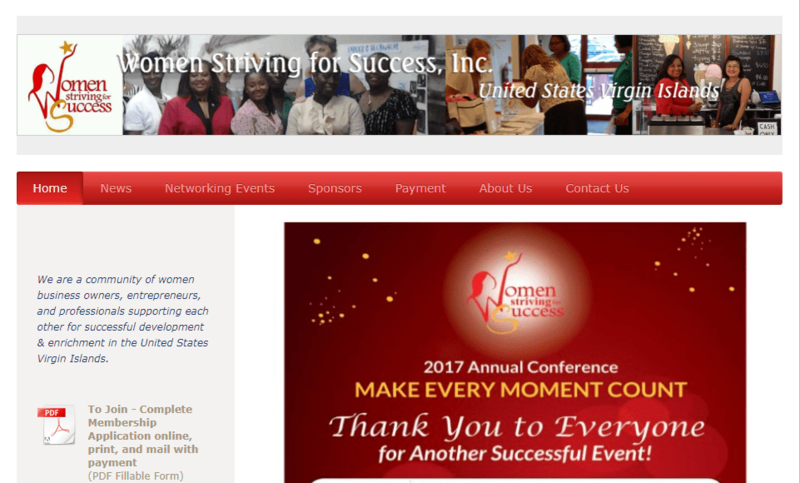 The mission of Women Striving For Success, Inc. is to encourage, to motivate, and to inspire. Through its monthly meetings and annual conference, it aims to provide a forum for women in business to network to advance personally and professionally. Tags:Women Striving For Success Inc.